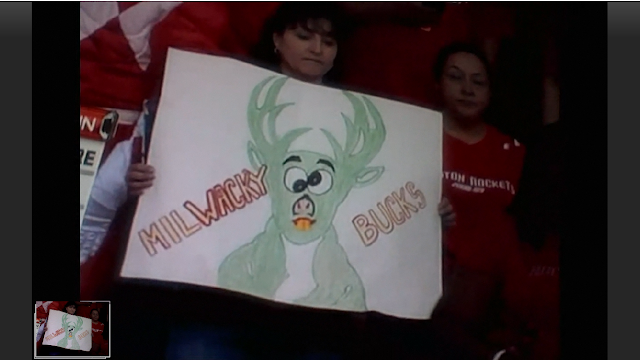 Houston Rockets vs. "Mil-Wacky" Bucks ~ The Bucky Channel - The World of Sports from Wisconsin's Perspective. The Bucks game wasn't on FSN Wisconsin this afternoon, but for anyone that took advantage of the NBA League Pass Free Preview either on the television or online, they were treated to this little nugget. Could the Bucks have a new logo planned for the future, or is this the brother that Bango never talks about? (And yes, that is a Power Ranger costume on the left).